Weeelll those are just my management thoughts lah so let's get onto the box! The moment this came I think it's safe to say I almost ripped the wrapper to shreds wahahaha. I was sooo excited when I saw this on the Althea site that the excitement levels were too high when this came!!! I felt that this was a very apt box for the holiday season regardless of whether someone will use these items for new year's eve parties because I personally find this to be a good 2017 starter pack. You see, I come from a very conservative Chinese family and when I wear makeup to clan parties I am made fun of. I have a particularly abominable aunt (I just hate her so much gah just thinking about her already makes me angry) who has always made sure to make me feel out of place when I do special makeup. She will incessantly bring it up, incessantly ask other people to comment, and keep on asking makeup questions and roll her eyes when I give her recommendations. She has already compared me to another aunt in our clan who is popular for having drag queen makeup even when I'm not doing drag queen makeup. She's just so horrible. I honestly have long wanted to tap out of clan parties because of her and am already proposing to my father to pay me an appearance fee or tolerating-my-horrible-aunt fee if I am still to attend. Since I have to deal with someone of such evil, I normally tone it down when I'm seeing my relatives and turn it up when they're not there. I instead was very giddy to see this as this has all the glamorous things to jumpstart a bright and prosperous 2017. They could have named this New Year box and the items would still be relevant. 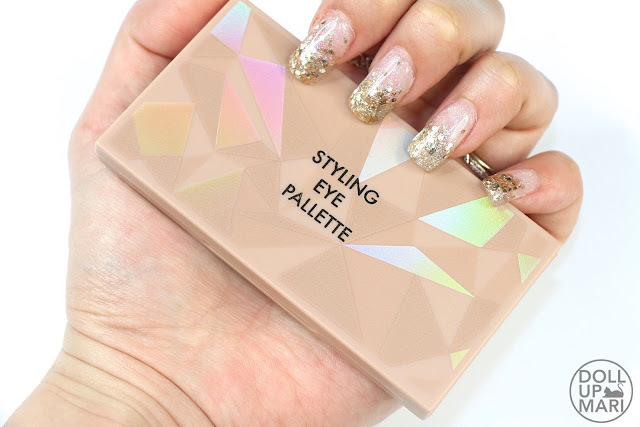 I am sooo smitten by this palette because this is basically every yellow based neutral shade a girl would want for everyday! 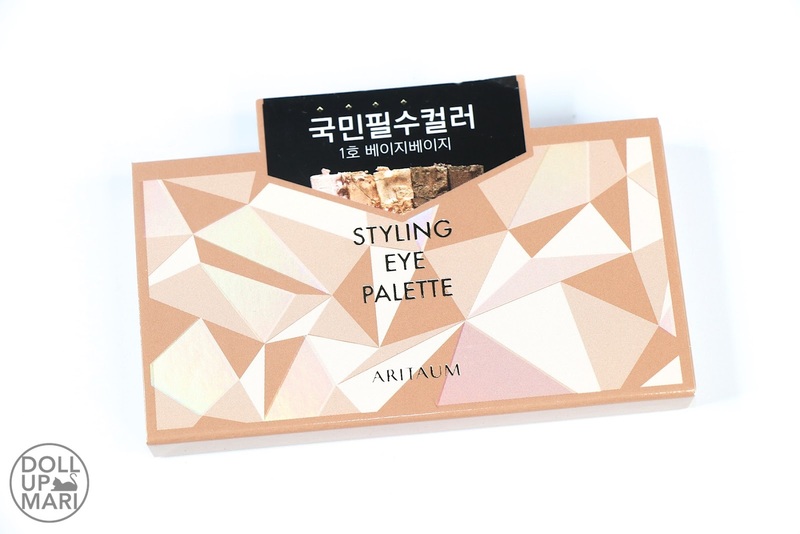 Weeell of course it's a given that Korean eyeshadows are often glittery and shimmery and that this is not the only palette one will need if one wants to do cut creases and stuff, but this is such a beautifully curated palette that it is just so pretty. I see myself bringing this for my travels and I'll only have to bring this this and my eyebrow powder palette (I often use my brow powders as my matte eyeshadows) and I'm already made. 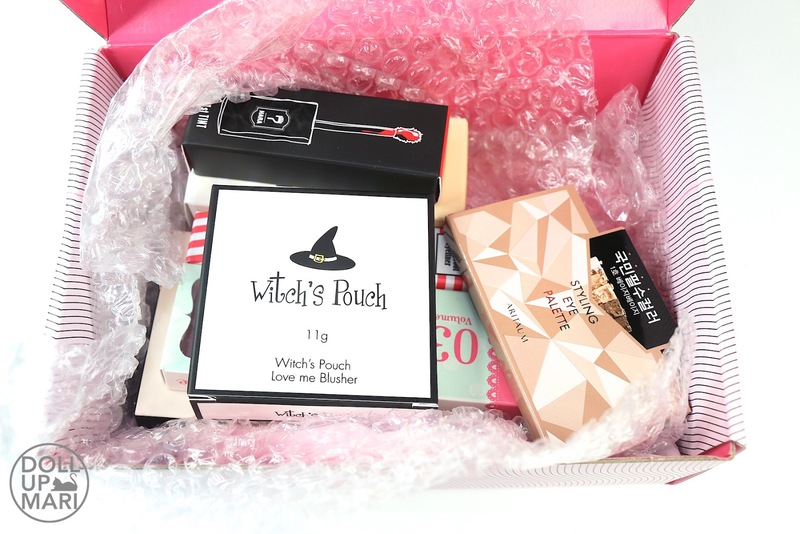 And the packaging is just sooo pretty! I know it's not the usual dainty kind of Korean design, but heeeey, it matches my gel manicure and that's all that counts. 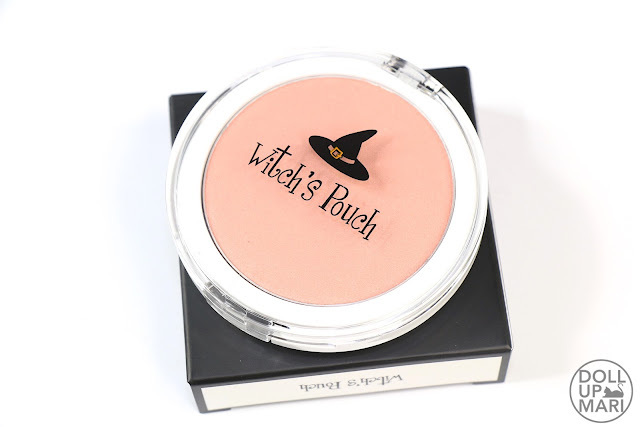 Aaand for blush, they sent in a rather unique shade from Witch's Pouch. This one retails for Php470 if bought separately. 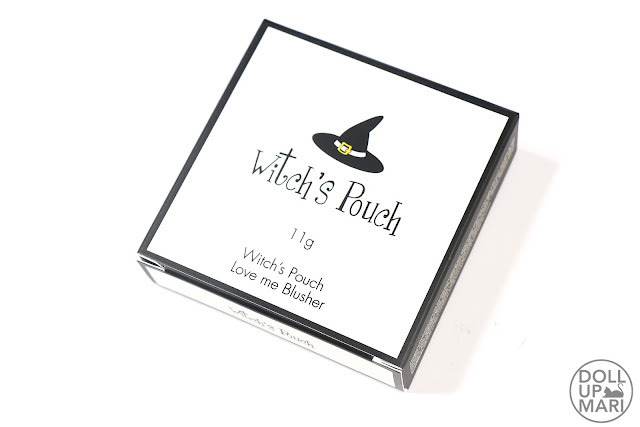 This is their Love Me Blusher in the shade of Rose Blossom. 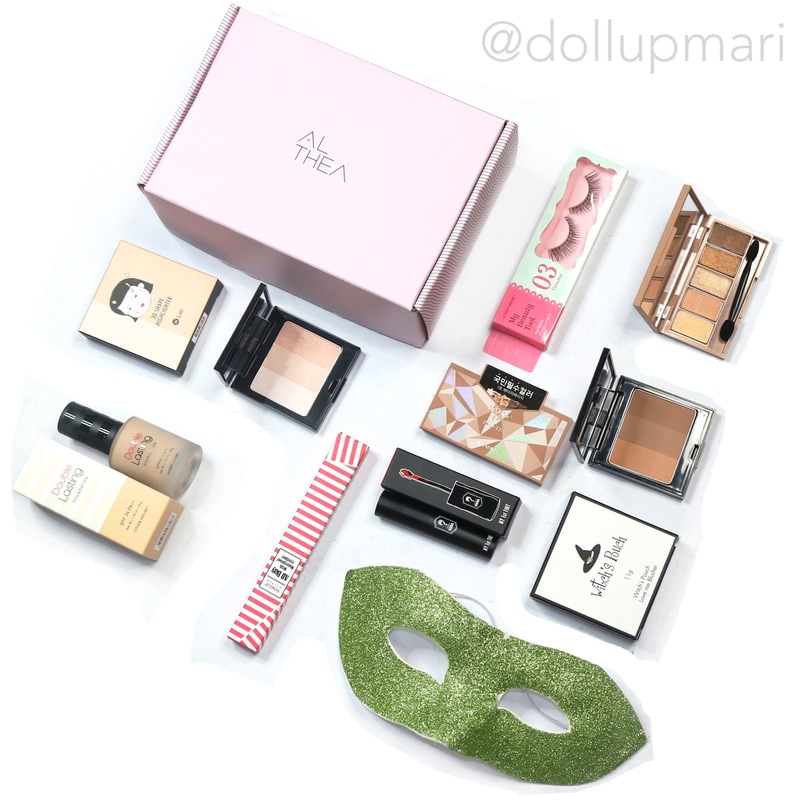 This is somewhat unique in the K-Beauty world because the typical selections you would see are much pinker or redder than this. This is a muted coral if you ask me. 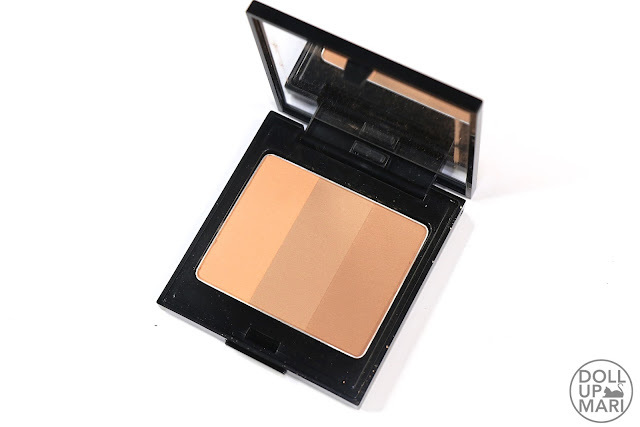 It may seem brown from the photo, but this is too earthy to count as contour. This is also matte, so that's also something that shines in its own way (no pun intended) given that many of the blushes from Korean brands are shimmery. This might be bulky to some spectators as it comes with a brush in a built in bottom section. 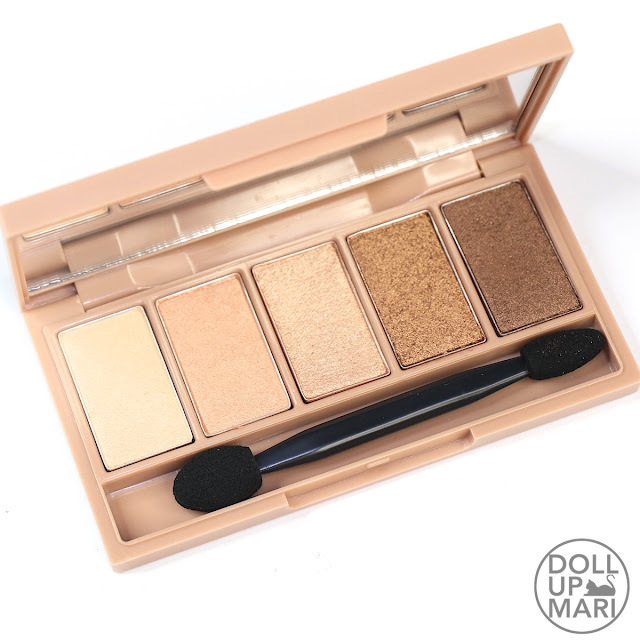 Yet again, a travel friendly item for those who would already like their products to come with their own brushes and applicators. And on the other side is a nifty brush that I can envision so many uses for. 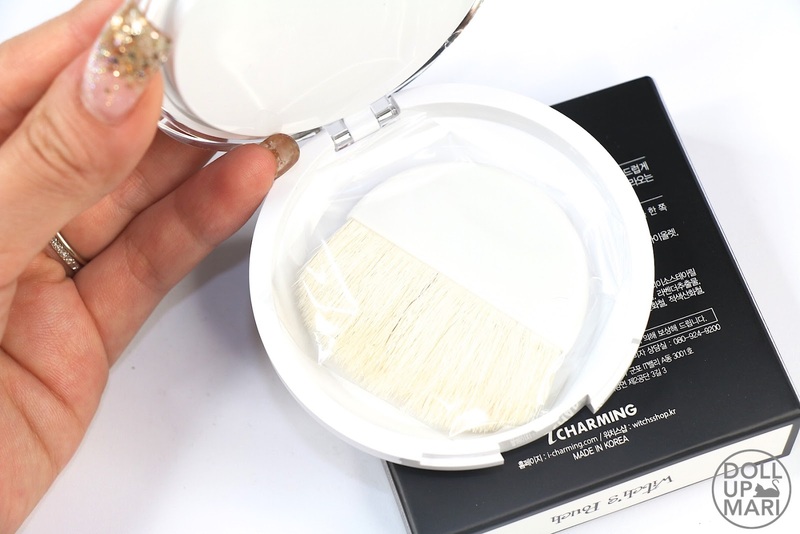 You can use this for blending and for smudging your makeup. 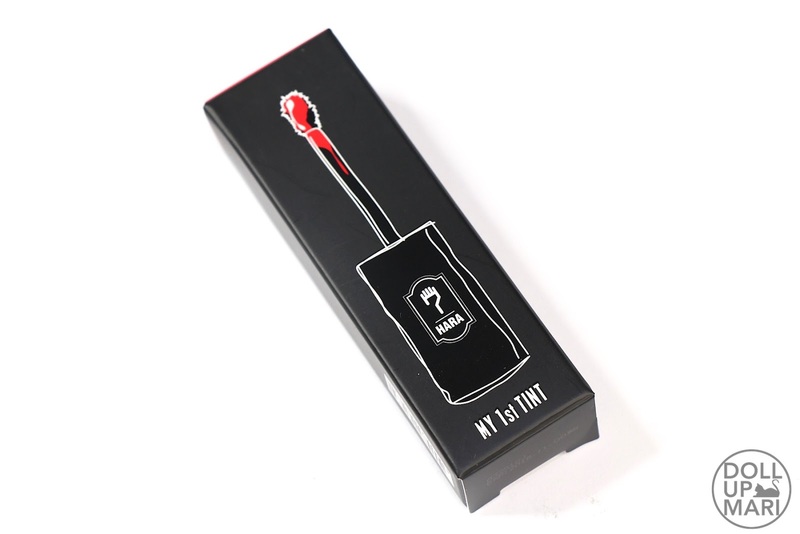 You can also use this as a precision brush for applying concealer to the browbone for eyebrows on fleek or on eyelid area for a very sharp cat eye. 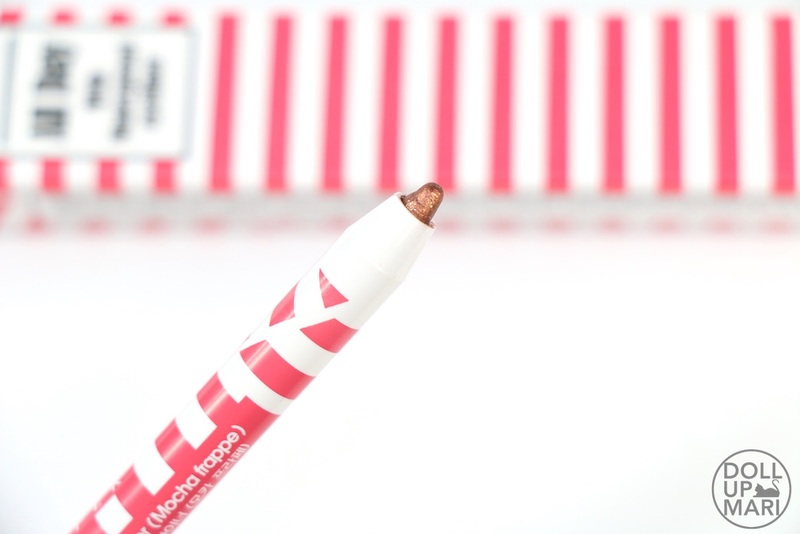 This can also live a second life as a lip brush when the pencil gets used up. This has so much value for money. I also received a lovely tint from Hara. This is Hara's My 1st Tint in Maple Red. This retails for Php350 separately. This tint is craaazy. 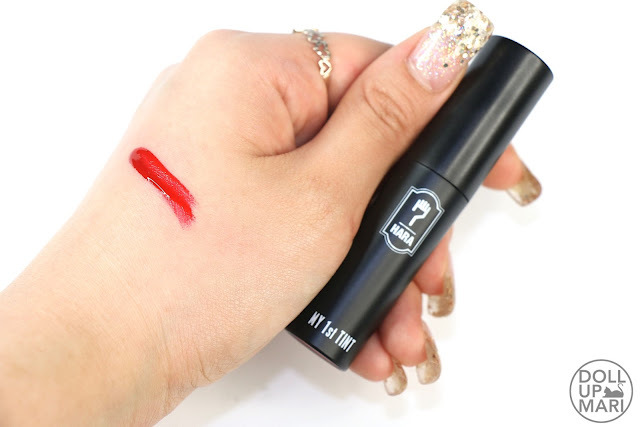 This is the first time I've seen something challenge my HG tint (the Unpretty Rapstar Crazy Deep Lip Paint) and I am shook! It's a veeeeeery veeeery vivid shade. I actually had to Google maple and discover for myself that maple leaves can be this red. It is just soooo red. It leaves a very good tint on, too! 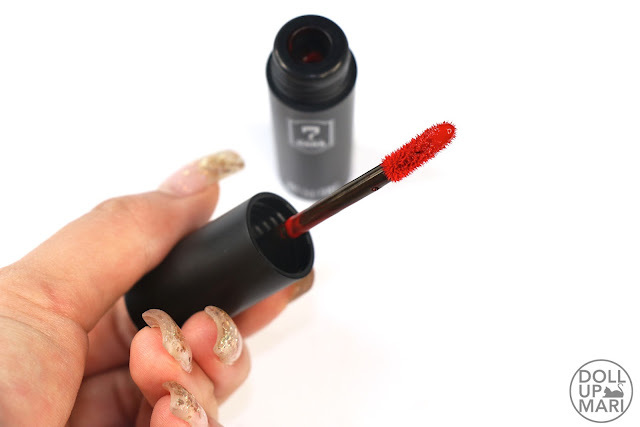 I wasn't able to swatch anything else when I used this because the tint was soooo stubborn! Its stubbornness is so impressive. 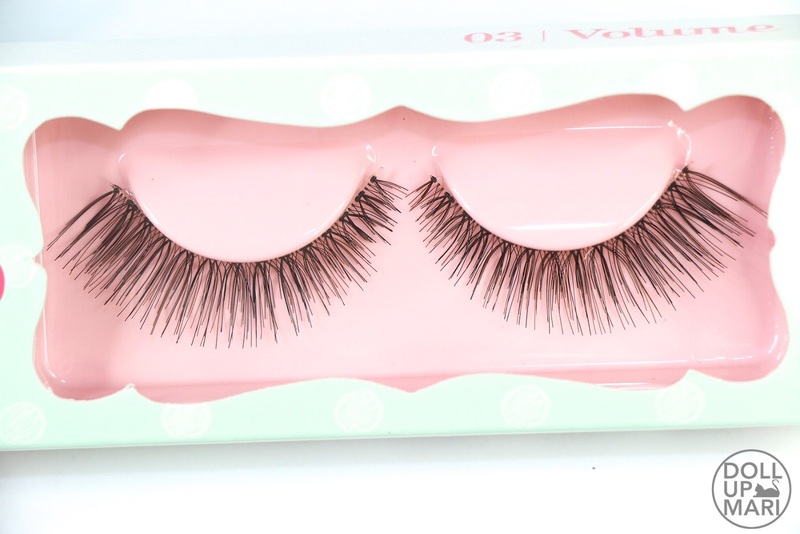 I also received a pair of #3 lashes from Etude House. I feel like the curator of Althea is like my long lost cousin or something coz I also got this exact same pair of lashes from a haul from awhile back! We have the same taste in lashes! Out of all the lashes Etude has and we both chose this. Twinning indeed!!! 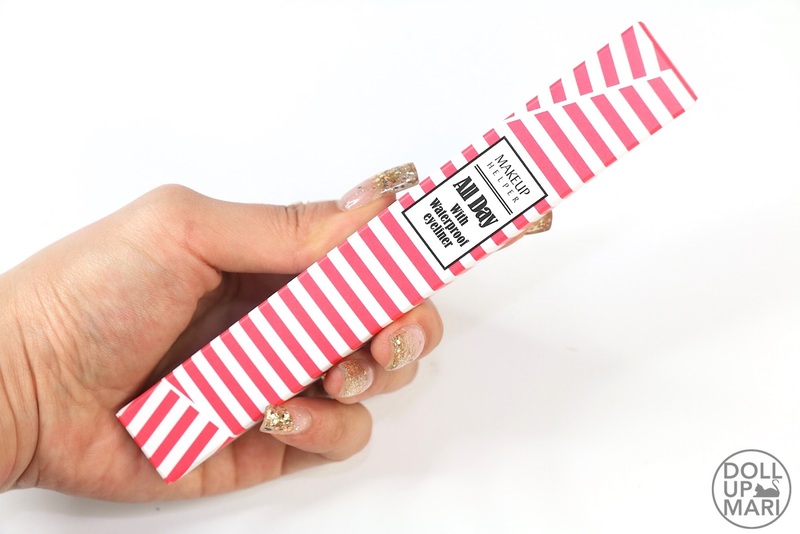 Too bad this isn't in the Althea site... You can get this in our own Etude House stores but you will of course not be able to combine this with items from other brands. 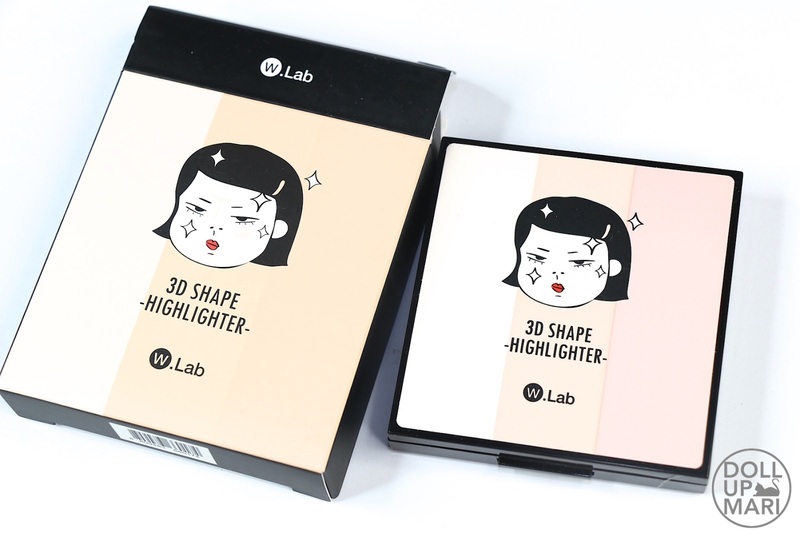 Yet another mystery is the fact that this Double Lasting foundation from Etude House also isn't in Althea's site.. In fact for that matter base makeup is selling so well I don't think there's even any BB Cream of Etude House available on Althea right now. That aside, this should be interesting to try given that I have the Stay Up foundation, too. I also have tried almost all of Etude House's BB Creams (and I love them allll). And the last two items are lovely wares from W.Lab. I thought that this brand was like all about gentleness and stuff till I found out that they actually got MissA Jia as their endorser. I personally find Jia to be someone very fierce and spunky, so that's how the brand seems like to me now. Soooo they gave us both the highlighter and contour powder!!!! Each one of the two retails for Php940 a pop. The packaging is sooo cute coz you have this angry girl with sparkles on her face. 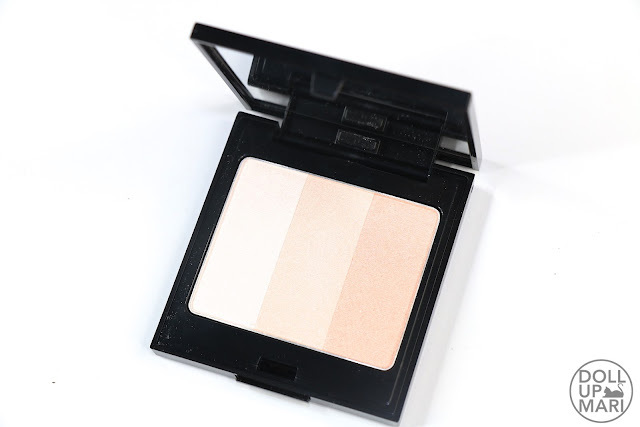 So the highlighter is this three shade pan for you to be able to play up your strobing game. You can use all three colors or use the colors selectively. This can also function as three new eyeshadows altogether! The highlighter's packaging will only make sense once you see this angry girl once again, but with a chiseled face. The best thing about this is that this doesn't have anyyyy bittt of red to it. 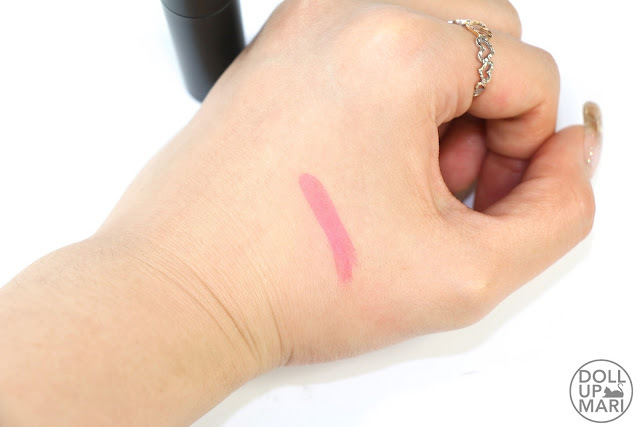 Anything with a reddish tone is automatically off the list for contour because anything with a reddish tone is bound to look like a bruise or a swollen area. Or in general, it stands out (especially on Asian skintones) that there is no way for the contour to look natural. 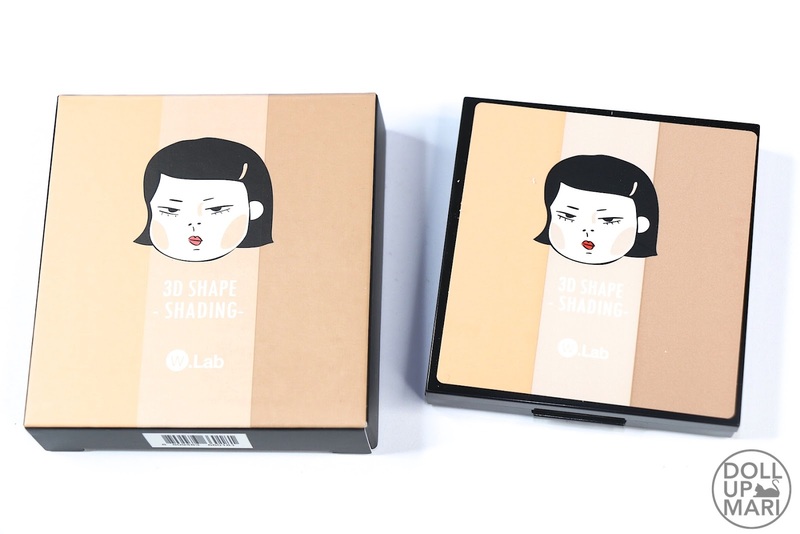 Reddish contour will make one's face look dirty instead of sculpted. I've seen this happen to myself so yeah please learn from my mistakes and get something like this instead.. So yaaay, that's it for thisss post!!! Thank you so much Althea for my 2017 starter pack!! !